What’s especially interesting to me is that there are sub-lists, and Lord Loss quite naturally appears on the Books That Will Scare You list — but it’s the only YA book to make the cut! The others are books for adults by Stephen King, James Herbert, Iain Banks and George Orwell. I was delighted to see not just one, but two of my books chosen for a recent Premier League Reading Stars initiative. Basically, this involved a selection of football (soccer) players from the UK's Premier League choosing books to talk about and read out from. There are also competitions which fans in the UK can enter, based on the extracts read out. First up, you can listen to Tottenham Hotspur central defender Jan Vertonghen read from Zom-B Angels by CLICKING HERE -- I was particularly pleased about this choice, as this is the team I support!! And then you can listen to Stoke City midfielder Charlie Adam reading out from my short book Hagurosan by CLICKING HERE -- Charlie actually pronounces the name the wrong way, but that's not his fault, as it's a Japanese word, so it's tricky for someone unfamilar with it -- the correct pronunciation is Hag-roh-san. "I think this might be the best book of the series so far... A great addition which ramps up the action and starts to prepare us for what I feel is going to be a superb and exhausting rest of the series! 5/5 stars." ZOTWOT. "You’d think that by book seven this series would be getting a bit stale, but nope. I loved Zom-B Mission just as much as I did the previous six books!" SO MANY BOOKS, SO LITTLE TIME. 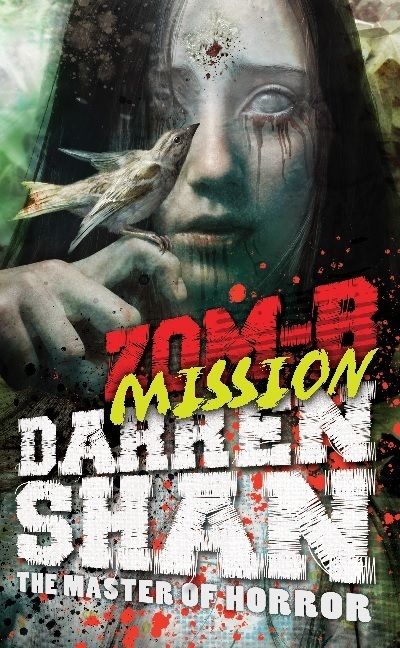 You should be able to buy Zom-B Mission in your local bookseller -- if you don't see it on the shelves, do please ask a member of staff to locate or order a copy for you. Alternatively you can buy or download it online if you prefer. 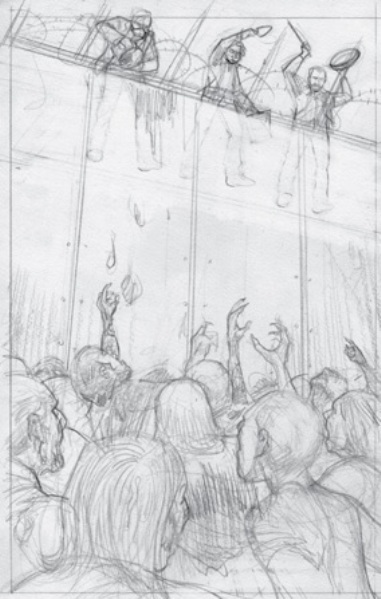 As usual, the fabulous Warren Pleece has produced a stunning set of illustrations to grace the insides of Zom-B Mission. 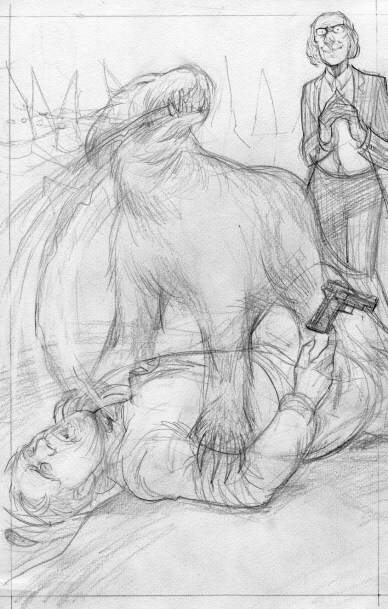 Following on from the pair I revelaed last month, Here are a couple more of his early rough sketches, this time from the second half of the book -- there's a familiar face in one them for regular readers of the series!!! 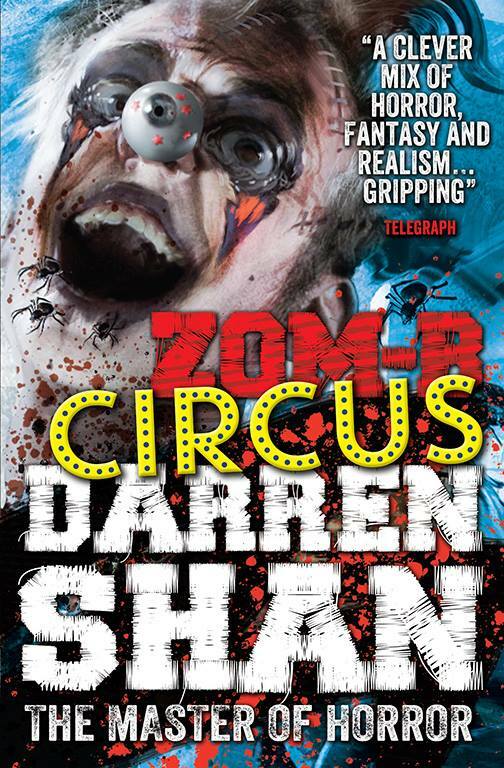 In the UK and Ireland we are selling Zom-B Circus as an eBook for £0.99 -- it goes on sale on April 17th, and you can pre-order it on Amazon UK by CLICKING HERE. As well as going on a physical tour to promote the release of Zom-B Mission in the UK and Ireland, I've also done a Blog Tour. It started in late March, so I'm already nearly halfway through as I type this, but all entries remain accessible -- see my Twitter page for links to each one. Some of the entries are Q&A sessions, some contain extracts from the book, and I've written one or two pieces for others -- a nice mixed bag! It's going to be a Shantastic few months in the world of leading sci-fi magazine SFX!! As well as the Zom-B Circus giveaway in issue 248 (see above) they're running a short story-writing competition in issue 246, which went on sale on March 5th, in which one of the judges is going to be... ME!!! One of my rules over the last fifteen years has been to never read unpublished fiction -- in fact, I don't normally read a lot of published fiction either, since I just don't have enough time. However, I've agreed to make a rare (it might even prove to be a one-off) exception, and will read the final shortlist, before chipping in to help choose an overall winner. If you've ever wanted me to read one of your stories, this might very well be your only opportunity to make it happen! HOWEVER, please note that the competition is only open to people who live in the UK, and you must be 16 years or older to enter! I know this rules a lot of you out, and I'm sorry about that, but the rules have been set by SFX. If you fit the criteria and want to enter, you can find out more and do so by CLICKING HERE. There will be more about the competition in issue 247 (on sale April 2nd), along with an ad for Zom-B Mission. Then the Zom-B Circus giveaway in issue 248 on April 30th. The winner of the short story competiton will be announced in issue 250, on sale June 25th -- and the winning short story will also be included! And then there'll be an ad for the eighth Zom-B book, Zom-B Clans, in issue 251. There was an interview with me in the Guardian in the UK recently, where all the questions were posed by teenagers. They came up with some cracking questions for me, and I hope my answers live up to the high mark they set! I very strongly recommend this interview for all die-hard Shansters, as it touches on most of the books that I have written over the years. To check it out, CLICK HERE. I had lunch with an interviewer called Darragh McManus several months ago. It was meant to appear in one of the Irish national newspapers, but his editor left and the replacement proved less than enthusiastic about giving me a slot (I've dispatched a team of vampaneze, demons and zombies to teach him the error of his ways!!). Thankfully Darragh runs his own web blog, and he has published the piece there instead. I highly recommend it -- it's VERY well written. To check it out, CLICK HERE. I signed LOADS of copies of my books when I visited Books Of Wonder in New York recently, including copies of Zom-B Mission. So if you live in the USA and are interested in buying signed copies of any of my books, contact the store -- as far as I know they ship all across the States. CLICK HERE. 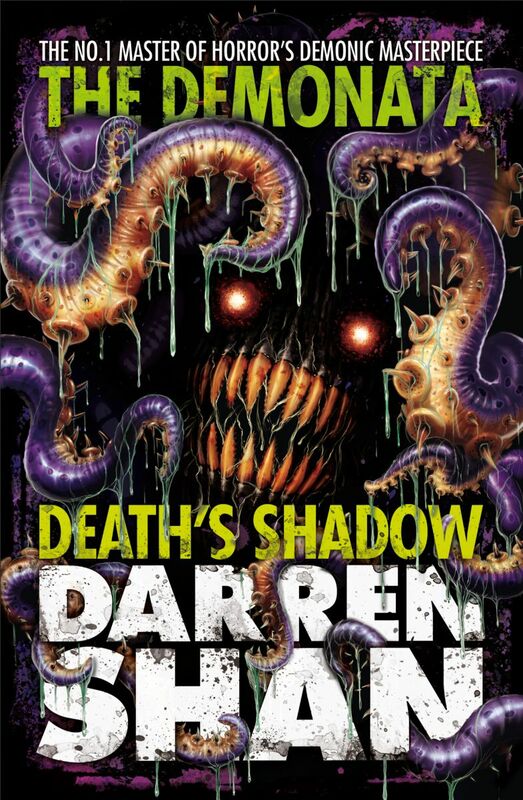 Although some of my Saga Of Darren Shan/Cirque Du Freak books were published in audio format in the UK years ago, the series was never completed or made available in other countries. That’s all now changed! The first eleven books in the series have been released in brand new audio editions in USA (some of the earlier books are also available in the UK), and Book 12, Sons Of Destiny, will be released on April 1st. The narrator is Ralph Lister. I haven't yet been sent the cover, so I'll include it here next month instead. My Zom-B books are also available in audio format in the USA (and some of the early books are also available in the UK -- we're trying to get the rest of them released, but the company that was making them has gone bust, so we're currently talking with their replacement) -- again, I'd recommend Ambling Books. This is THE LINK for book 6, Zom-B Gladiator, and you can find the other books once you're there. The Irish government are introducing a new examination system in a few years time, called the Junior Cycle (the equivalent of the British O Levels), and guess which book by a certain Master Of YA Horror makes the shortlist of recommended books for first year secondary students?!? To find out, CLICK HERE. I'm always in two minds about my books being taught in schools. On the one hand it introduces lots of new readers to my world and hopefully makes learning more fun for them than it would otherwise be. But I do worry that some teachers (i.e. those who simply teach the book because it's on a list, not because they truly like it and think it will be good for their pupils) might drain the joy from the pages. Great teachers who care about books help their students see that books are fun as well as being educational -- but lesser teachers can make a novel seem the same as any other school textbook. Oh well, I just have to keep my fingers crossed that teachers across Ireland don't lose track of the most important thing when they're using my book in class -- that it's first and foremost an exciting read that should be a pleasure. I'm a big believer in the maxim that if children are taught to read for fun, other good educational things will follow -- but if they're forced to read because they've been told that "books are good for them" then they'll rebel and become non-readers. 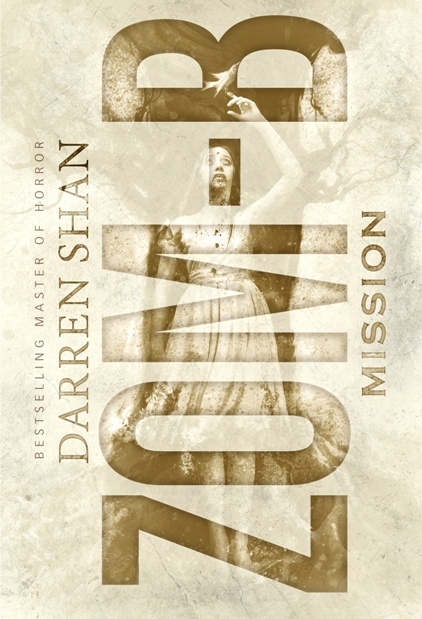 In the UK and Ireland, all ten books of my Demonata series are being re-released with brand-new covers. 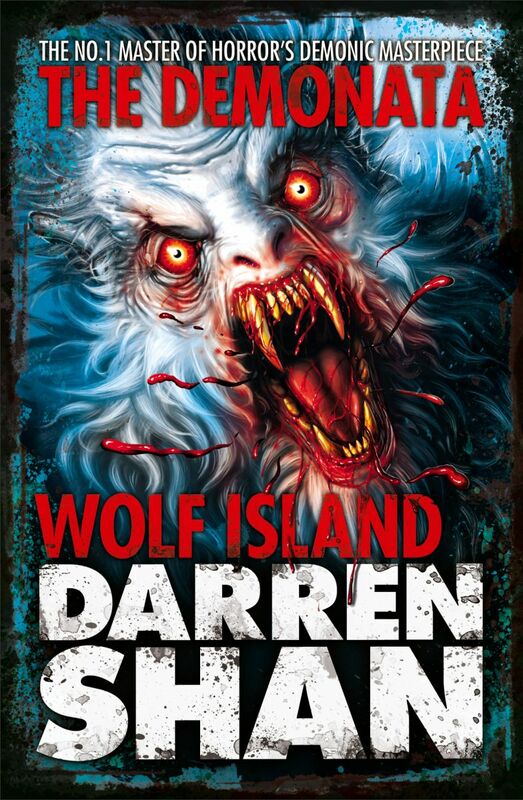 The latest two, Dark Calling and Wolf Island, books 7 and 8 of the series, went on sale on March 27th. You should be able to find them in all good bookshops -- if not, do please ask a member of staff if they can order them for you. Or you can buy them through www.amazon.co.uk I love the new covers -- I hope you guys do too!! There will be a Zom-B Mission giveaway on web site, Adventures In YA Publishing, on April 7th, and then on April 11th they will also be publishing a piece I wrote for them about the writing process. There will be a giveaway of three sets of signed, hardback copies of Palace Of The Damned and Brothers To The Death on the Live To Read site on April 15th. There is a UK giveaway of all 7 Zom-B books so far published over on the Readaraptor site, running until April 7th for UK fans. CLICK HERE. Back in 2003 I wrote a short story for a book that was compiled to celebrate comics writer Alan Moore turning 50 years of age. It was a lighthearted piece about him when he was 10, in which I namechecked a lot of the characters and books that he would go on to write about over the next 40 years. The story is available on my site, but has also now been made available in a nicer format on the AlanMooreWorld site -- to read it, CLICK HERE. If you aren’t familiar with a lot of Moore’s work (you should be!!) then there’s a link on the page to a guide that explains what most of the references relate to. A bit of bonus good news for the Norwegian fans who entered but didn’t win a main prize is that I was able to find a book for every one of you (well, those who gave the correct answer and their full postal address) so you’re ALL winners!!! There were 45 correct and valid Canadian entries, and 16 correct and valid Norwegian entries. Thanks to everyone who took part, and better luck next time if you weren’t one of the winners! My 2014 tour diary is starting to fill up, with lots of events already confirmed for the first half of the year. Here are the details as they currently stand. If you plan to come to any of them, please note that I almost never impose any limits on the number of my books that I will sign, so feel free to bring your whole collection from home or buy loads of them on the day at the event! 11.00am -- school event, Easons Belfast, 40-46 Donegall Place, Belfast. Please contact staff in the store if interested in attending. After my book tour finishes in April, I'm going to be appearing on the Irish TV show Elev8 on RTE on Friday April 11th at 4.00pm. Tune in to see how I've held up after nearly two weeks on the road! For more info about the show, CLICK HERE.